First China, then Israel – now India is landing on the moon in 2019 Chandrayaan-2 mission signals Asia’s space ambitions. Space week Download Microsoft's free space app and take a tour of the skies in your own private observatory. Space week Astronomers were looking for dying stars when they came across an asteroid spinning itself apart. Space week The chopper has passed tests on Earth, and its next flight will take place on Mars. Space Week The butterfly's 'wings' are huge bubbles of gas and dust, which can clump together to create new stars. Space week As we come close to identifying the 4,000th exoplanet, we look at the most extraordinary ones discovered so far. 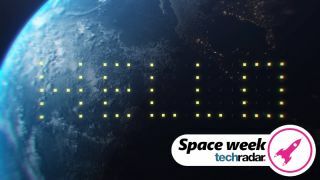 Space week From sunshades and x-rays to finding life on exoplanets, we could be about to enter a new golden age of astronomy. Space Week Google Earth now lets you 'visit' Devon Island, which is so similar to the Martian surface, it's used by NASA for training. Space week The craft is due to touch down on the lunar surface on April 11, after some early technical hiccups. Space week Moon Diver would rappel into huge craters to examine the rock deep below the surface. Space week Fly through a photo-realistic model of the Milky Way, including thousands of planets, stars and satellites, completely free. Space week The mission will be a race against time, as the icy moon will soon be plunged into darkness for 80 years. Space week Christina Koch and Anne McClain had been due to carry out maintenance on the outside of the International Space Station. Space week Use this tried and tested technique to take moon pictures you'll be proud of. Space week The unmanned craft will make five flights in the Red Planet's harsh atmosphere, capturing photos as it goes. Space week The experiment will help researchers understand the effects of space travel on the human body. Are we getting closer to finding 'Planet Nine'? Space week It's at least five times bigger than Earth and it’s way beyond Pluto – but does it exist? In depth A 5,000-horsepower engine lets pilots experience forces up to 9G while flying a virtual jet. The British Army is spending £66 million on cutting-edge tech, and holding reality TV style competitions to find new ideas. Laptops have grown ever-lighter and more portable, while getting more powerful. We celebrate 40 years of innovation. MWC 2019 The Tap wearable keyboard lets you write one-handed without a desk. Could it be the future of typing?